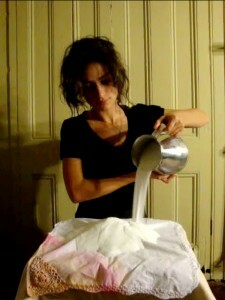 Ana Marva Fernández is a Mexican-American artist. She creates installations that include found objects, photographs, and rapid prototype works, exploring the implications of art in society as we move towards the future. Her work tends to reference tensions of the Mexican political landscape, intertwined with playful use of mystical characters.